Solutions | Pacific Supply Co.,Ltd. 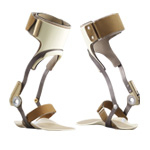 Our mission is to supply products and services for people to improve their quality of life. Standing at early stage (very important to prevent disuse syndrome). 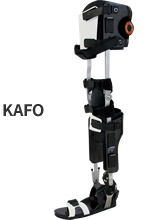 With KAFO, patients starts walking rehabilitation to strengthen muscle and hip joint. Brain image diagnosis: rehabilitation target is set and shared with the related medical staff. 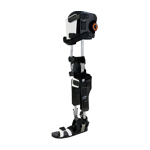 With AFO, patients keeps walking rehabilitation to strengthen knee joint and re-learn and achieve gait again. 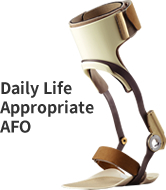 The most appropriate AFO is chosen for actual life. 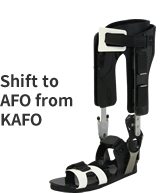 AFO is used for patients’ safety and comfort in adaptation to their actual life environment.